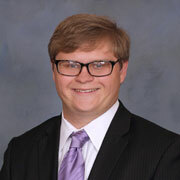 Seminarian Charles Putbrese, a Loras College freshman at St. Pius X Seminary, tells us! Young newlyweds Seth and Mary Sojka are part of our Des Moines Diocese group in Poland. They share some of their experience at 2016's World Youth Day. WYD: Fearless, together, alive. We are the Church! Pope's message to truly lead the world for good strikes home for one World Youth Day pilgrim.